Hunting for a job requires more time and patience, whether you’re in the process of finding a new career or seeking job for the first time. You will then need a good resume to cover all your skills and experiences. 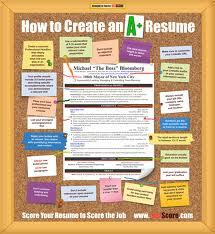 Your Resume is the ticket to having a great career, and writing a good resume is as difficult as finding a job. As an option, you may contact a reputable college essay writing service that will create a professional resume. So how to write a perfect resume? Follow these steps and you will surely land the position you desire. Recognize your strengths and weaknesses and determine your edge that will make you pass the application. Try to imagine being in the position you are applying for. This will help you understand the standards that the company is setting. And this will also be your basis in writing a resume. Make a draft of all your skills and experiences. Having a draft will make it easier for you to compile all your qualifications and other needed information for your resume. You have to think of different headings and subheadings for every page to properly categorize the content of your resume. In this way, the employer will not have a hard time running through your application paper. Your resume should contain your objectives in the first page. Objectives must include not only the things you are looking for in a job but also the possible ways on how to make your goals in the company a reality. Your work goals and the ways to achieve them should be clear enough to the employer. Have a summary of your expertise including the previous work experiences that you had. It must be separated from your objectives. This will catch the employer’s attention making him to continue reading the next pages of your resume. And you should write only the experiences and other qualifications that are related to the job you are applying for. Include only your past experience when it is of relevance. Use the draft you made as basis on how the content of your resume should flow. Use brief sentences in describing your education, employment history and other accomplishments, as well as your interests. But remember, you should only include the information when it is of significance to the job position. And keep the employer on track using words that directly associate with the job description. In writing a perfect resume, you must include references to verify your credentials. Past colleagues and supervisors or managers will also help the employer determine your characteristics at work. And make sure you keep up good relationships with the person you have added in your resume as references. Your resume plays an important role in your job quest. It could be used as a facade to all your qualifications, skills, and experiences. You have to make it as perfect as possible. Your resume will give the impression to your employer. So don’t put your career at chance. Make it to the point of landing on the position you desire the most. Author Bio | Kevin D. is employed by Solidessay.com and writes for various educational journals and magazines.